… Yay, yay, yay! A coffee product we can drink … and totally enjoy! Yay! 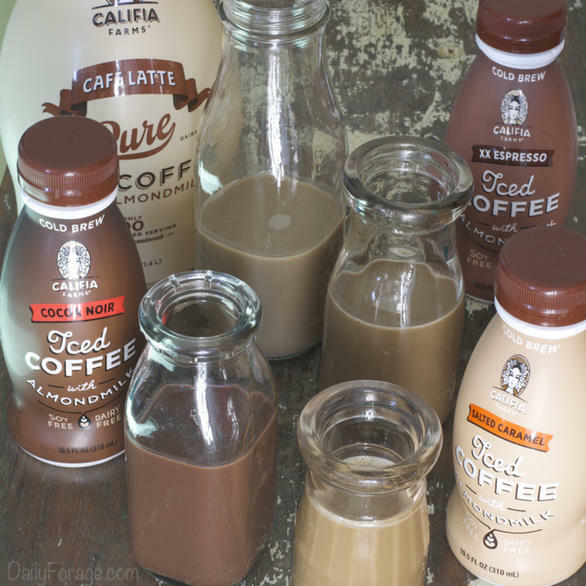 I am so excited to share today’s product review with you … Califia Farms Pure Iced Coffee. Why, you ask? What makes this coffee so different from other non-dairy coffee products on the market? I can’t wait to tell you. Because Califia Farms Pure Iced Coffee is deeeeelicious! And it doesn’t hurt my gut. Oh, you know how important that is, don’t you? We have to take care of ourselves. Our bodies rebel if we don’t, right? Yes! 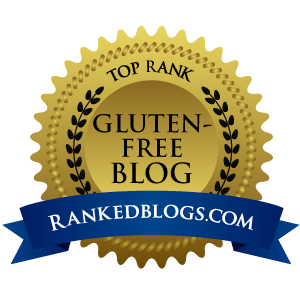 Since going gluten and dairy free five years ago, I’ve not had tasty experiences with a really good cup of coffee, or any coffee interaction for that matter. It seemed that real milk was the only coffee base or “creamer” that would cut the acid of the coffee and balance the flavor. And oh it was so, so good with real milk. But that was a long time (and many gut issues) ago. And far too many missed cups of coffee since then. But now … now … there is delicious, sweet, satisfying, gotta-have-my-cup-of-joe-in-the-morning coffee back in my life. Cold brewed – that means less acid – which is why my gut is so happy. Presweetened – this means it’s always ready to drink. No muss, no fuss. There are five flavors – to match any mood I’m you’re in – Café Latte, Double Espresso, Mocha, Cocoa Noir, and Salted Caramel. There’s even a Pumpkin Spice Latte seasonal variety. Each variety is free of gluten, dairy, soy, BPA, verified Non-GMO, and vegan. Main ingredients are coffee extract, water, almond milk, and sugar, (all ingredients I can pronounce), with less than 2% additional ingredients. While I am not currently, never was, nor do I wish to become addicted to caffeine or needing coffee to get me or keep me going in my day, there is no doubt that Califia Farms Cold Brew Iced Coffee has become and will continue to be a welcome guest in my fridge. Now when Mr. DF is brewing his hot coffee in the a.m. and walks past me while the wafting of freshly ground coffee aroma drifts under my nose, I no longer have the urge to put out my little toe and trip him just enough to spill the stuff. I just smile, turn to my fridge, and immediately pull my Califia Farms toward me. Oh yeah … this is good stuff. P.S. Which one is my favorite? I’d have to say the Double Espresso … if you’re really going to make me pick. Want to get your own? Check out where you can find it. Craving more product details? Learn more at Califia Farms.